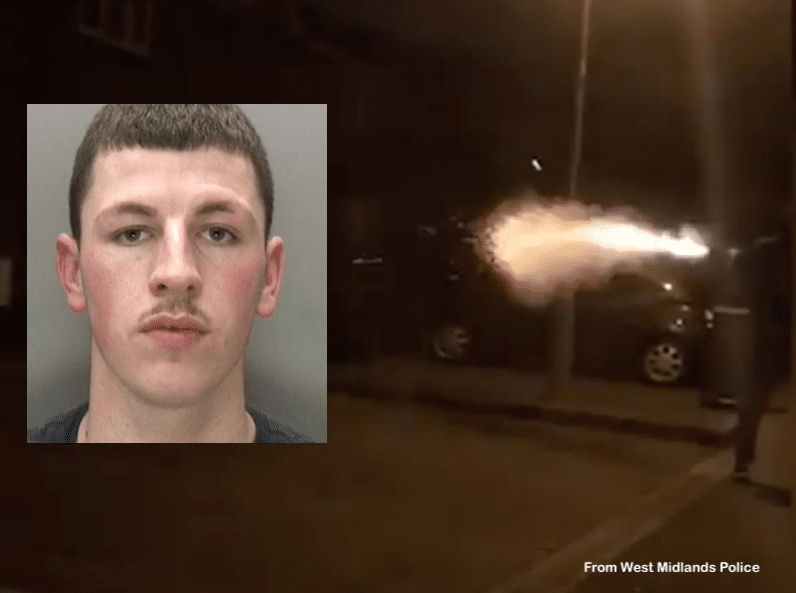 As West Midlands Police continue to tackle gang violence in Birmingham, a Northfield man has been jailed for his part in an incident which saw shots fired at a home, after investigators found video footage on his mobile phone. Police released the footage (watch below) as Jamie Wood, 23, was yesterday (Wednesday 17th April) sentenced to 3 years and 8 months in prison for his part in the incident, the culmination of a long running conflict with a rival gang member. A sawn-off shotgun was fired at an address in Coriander Close, Northfield, on the night of 20th February last year. Although Wood did not fire the shot, he arranged the shooting and filmed it on his mobile phone from a getaway car. On the footage, voices can be hears in the car, encouraging the shooter, saying: “…go on, over to the yard… slide it back, give it a good bang”. 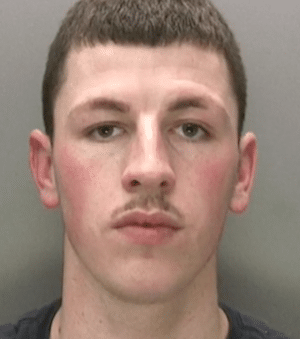 Police raided Wood’s Northfield home as he slept on 2nd March 2017, after suspecting the Frankley Killers gang member’s involvement in the shooting. Video footage of the shooting, and photos and texts linking Wood to gang activity, were found on his Apple iPhone. 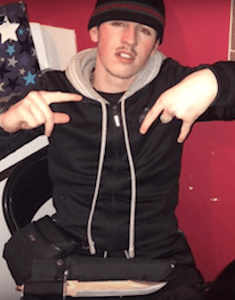 Wood claimed he wasn’t in possession of the phone on the night and denied his involvement in the attack, but detectives found evidence proving that Wood was using the phone in the build-up to the shooting. The 23 year old later admitted conspiracy to possess a firearm with intent to cause fear of violence. DS Teague said that Wood was known to be linked to gangs and the shooting was part of a a conflict that had been ongoing for up to two years. He said: “No-one was injured but clearly discharging a firearm in public is a hugely reckless act and one that could have fatal consequences. Sgt Teague warned other perpetrators of gang violence that they faced heavy penalties if they continued their activities. He said: “This is the latest in a series of convictions secured against people linked to gang activity in Birmingham… offenders have been put behind bars for many years. As part of a city-wide clamp down on gangs by West Midlands Police and Birmingham City Council, 16 gang members across south Birmingham – including Wood – are currently subject to injunctions that ban them from associating with each other and prevent them from entering large parts of Birmingham. Enquiries into the shooting are ongoing as police seek to identify the man shown firing the gun in the video, as well as another man thought to be in the car with Wood at the time. The community is urged to help tackle gang crime and anyone with information on this incident, or who suspects someone to be involved in gang crime or have access to a firearm, is asked to call West Midlands Police in confidence on the 101 number. Alternatively, you can contact independent charity Crimestoppers on 0800 555111 or visit www.crimestoppers-uk.org anonymously.